Obituary for Alvie Casper Nusbaum, Jr.
Mr. Alvie Casper Nusbaum, Jr., 85 of Frederick, passed away on November 8, 2018 at Sunrise Assisted Living in Frederick. Junior was the husband of Patricia Ann (Bare) Nusbaum and they were married on May 6, 1960. Junior was born on April 11, 1933, in Bartonville. He was son of the late Lola Irene Stull Nusbaum and Alvie Charles Nusbaum, Sr. He was one of seven children. Junior was a veteran of the U.S. Army and served on the front lines in the Korean War with the 72nd Infantry Division, earning the National Defense Service Medal, Korean War Service Medal, and the United Nations Service Medal. Honorable discharged in 1955, he returned to Frederick. After returning from the war, he worked as a brick and stone mason until he started his career as a federal employee with the National Institute of Health (N.I.H.) in the carpentry shop. Junior remained with N.I.H. until he retired in January 1998 after 28 years of service. Over the span of his career, he made many friends at N.I.H. He was a regular driver of the Van pool and enjoyed the daily lunch time game of cards with his friends. Outside of his career, he was a lover of nature. Junior would plant a ½ acre of garden annually and grew corn, tomatoes, lima beans, squash, and both regular and sweet potatoes. Besides his garden, he also had a family orchard and enjoyed growing peaches, apples, strawberries, blueberries, and black raspberries. With one of his close friends, he endeavored into wine making. 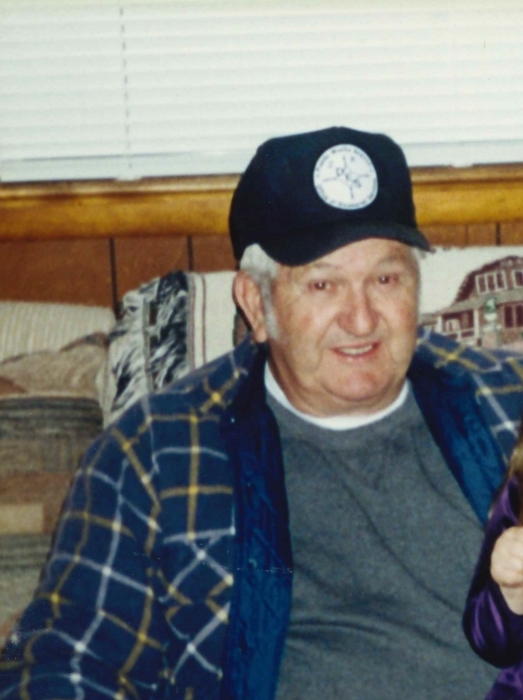 Every spring he would enjoy trout fishing and searching for morel mushrooms. Every fall he enjoyed hunting dove, squirrel, rabbit and deer. Junior was an excellent butcher and processed all his own meat. He also loved being on the Chesapeake Bay, where he would crab, fish, and rake for clams. His winter time was full too; spending time cracking out Black Walnuts to sell and for his wife to make her delicious cookies and cakes. Providing for his family made him happy and he enjoyed the times the family could be together. In addition to his wife, Junior is survived by his two daughters, Susan Lee Smith and her husband, Robert, of Chantilly, Virginia and Norma Jean Davis and companion, Dale Tressler, Sr., of Frederick; three grandchildren, Heather C. Davis, Ryan T. Davis, and Rachel L. Smith all whom are in college; one aunt, Ellen Stull Huffer and one brother, Harry Nusbaum, both of Frederick; and many nieces and nephews. Junior was preceded in death by three sisters and one brother: Charlotte Evelyn Nusbaum Cavell, and Betty Jane Nusbaum Stickles, Alice V. Nusbaum, Charles E. Nusbaum. The family would like to extend a thank-you to both Sunrise Assisted Living and Carroll Hospice for the wonderful care given to their husband/dad. The family will receive friends from 11 a.m. to 12 p.m. on Monday, November 12, 2018 at Stauffer Funeral Home, 1621 Opossumtown Pike, Frederick. Burial will be private at the Mt. Hope Cemetery in Woodsboro. In lieu of flowers, memorial contributions may be made to Carroll Hospice 292 Stoner Ave., Westminster, MD 21157.